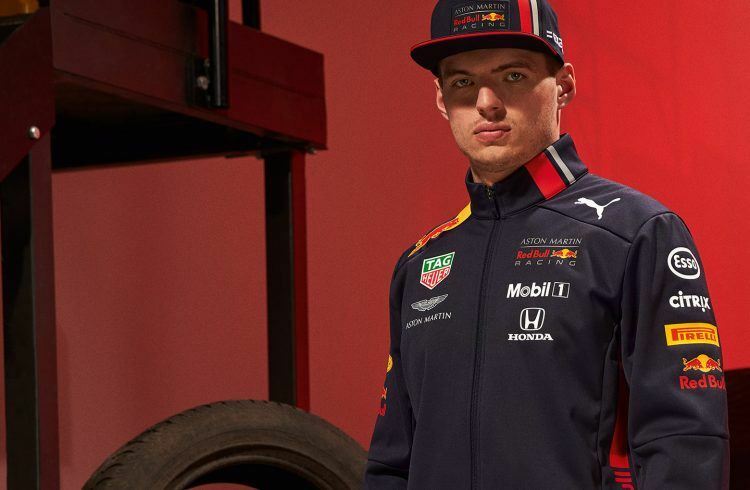 Formula 1 prodigy Max Verstappen made his Formula 1 debut in 2015 when did not even have his regular driver’s license because he was still too young. Competing in Formula 1 at the age of 17 for the first time made him the youngest driver ever to compete in Formula 1. Only one year later, the youngest points scorer became the youngest race winner: in his debut race for Red Bull Racing, he won the Spanish Grand Prix which made him the youngest-ever winner of a Grand Prix in Formula 1 history. At that time, he was 18 years and 228 days old. 4 years and 83 Grand Prix later, Max Verstappen has been on the podium 23 times and won 5 races. Max’s father Jos Verstappen was a Formula 1 driver himself, teaming up alongside Michael Schumacher in the German driver’s first championship winning season with Benetton in 1994. Max’s mother also competed in karting. No surprise then, that Max began karting at the age of 4 and entered Formula racing around 12 years later. In-between races, the current number 3 in the 2019 season Driver Standings took the time to visit the PUMA headquarters in Herzogenaurach, Germany, where he told us about his training routine. Many people might not know that, but racing drivers train a lot physically, don’t they? Yes, the problem for us is that we can’t practice driving in our cars, because it’s just limited. We drive a lot in simulators, but it’s different because you don’t have the G-Forces. In terms of driving practice, it’s all right, but for training your body it’s not. Then how does a normal day of training look like for you? I don’t like to go to the gym, so I have everything I need for my training at home: A wattbike, a ski skike, which is a bit of a cross country skiing kind of feeling, all the weights and a lot of balancing products. Obviously, we cannot be too muscular, because we must not be too heavy. Apart from that, neck training is very important. I have a kind of harness that I hang around my neck and do all different kinds of movements. How do you keep a training routine and handle jetlag when you travel? It’s actually not too hard, because I don’t like to train in the gym. So usually I go for a run and explore the area. I really like to be outside. Since I’m still young I can also handle a jetlag very well. What do you think about the PUMA racing shoes? For us, the feel on the pedal is the most important thing. The shoes need to be super thin and almost feel like a sock. I have to say the PUMA shoes are the best I’ve ever had. I even wear them at home in my simulator. "Look, I'm still the Best"